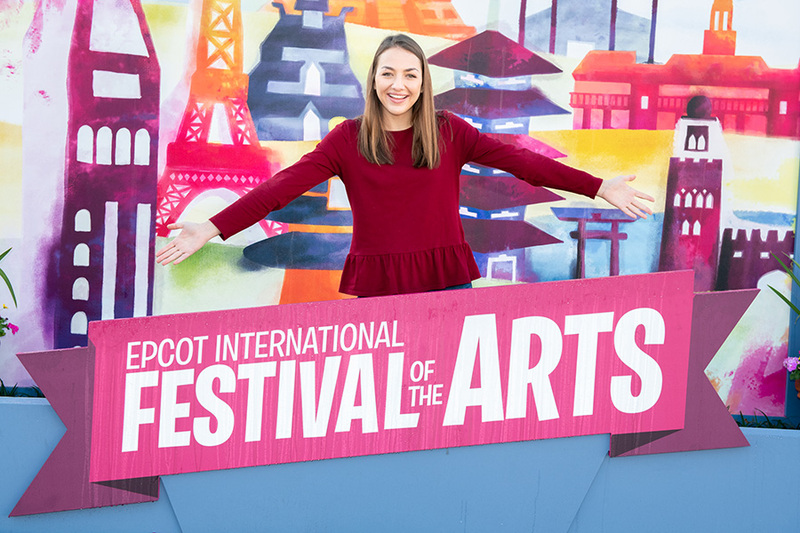 The Epcot International Festival of the Arts has returned to Walt Disney World Resort! You can catch captivating entertainment, enjoy a delicious menu of culinary delights, and explore a variety of galleries celebrating the visual arts. 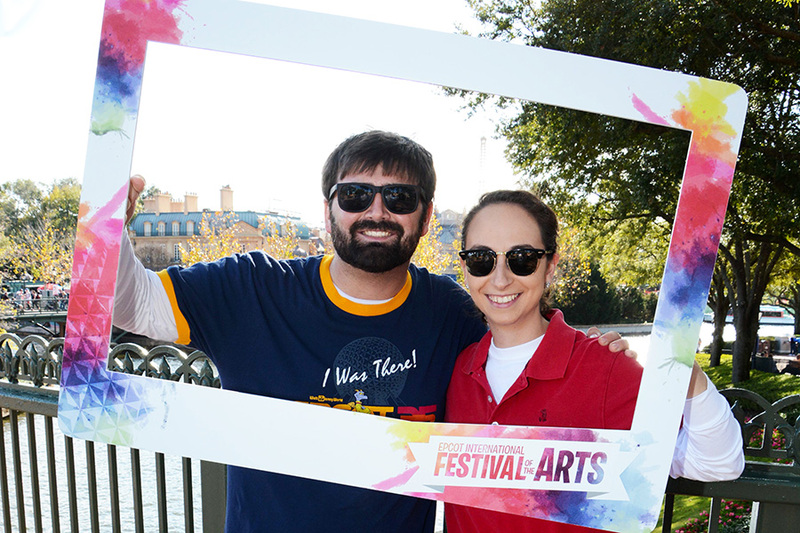 While you’re enjoying the many forms of art, Disney PhotoPass Service is committed to making sure you have a few masterpieces featuring the most important subject of them all: You! 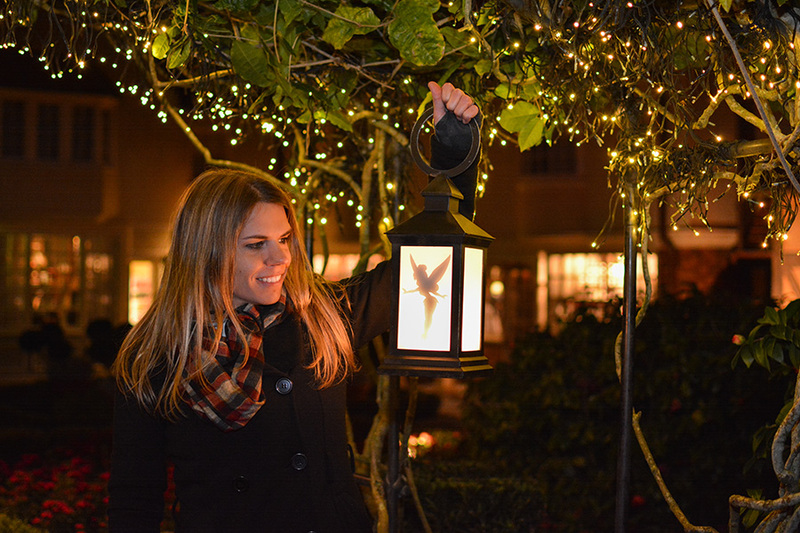 Throughout Epcot during the festival, Disney PhotoPass is celebrating the art of photography and offering tons of unique and creative ways to capture your memories. 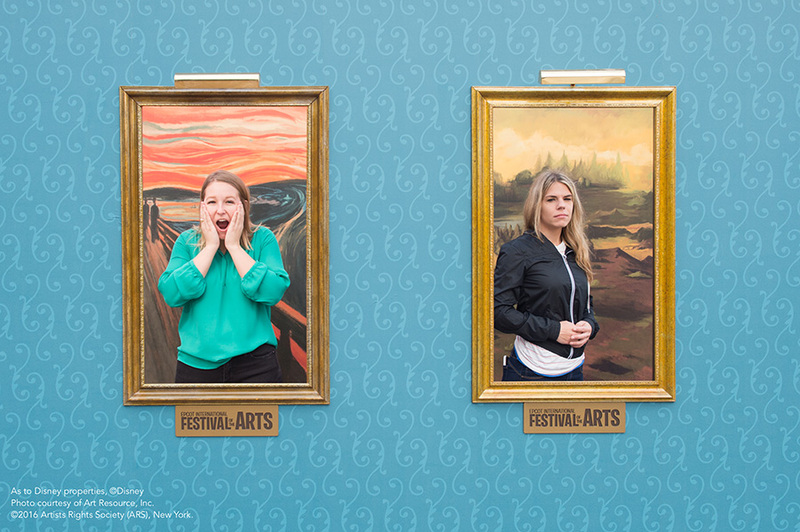 My favorite festival photo opps are the ones that allow me to step into some of the most admired artwork from around the world. 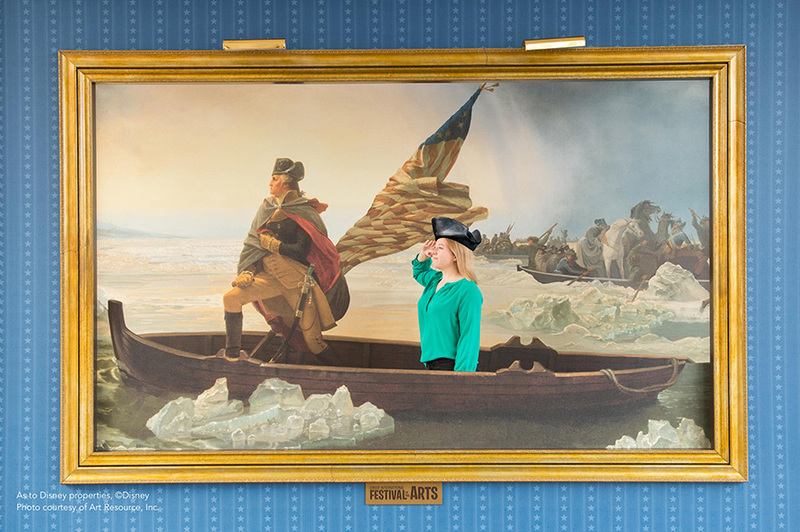 I’ve crossed the Delaware River with George Washington in my photos more times than I can count! 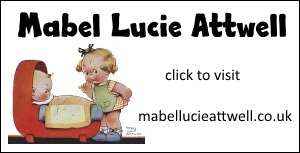 Let me paint you a better picture: Check out some of the festival photo opps below. 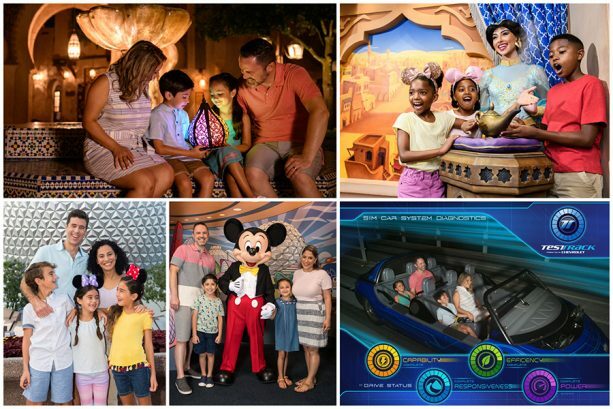 In addition to these special festival photo locations, you’ll also find Disney PhotoPass at all the usual locations around Epcot. 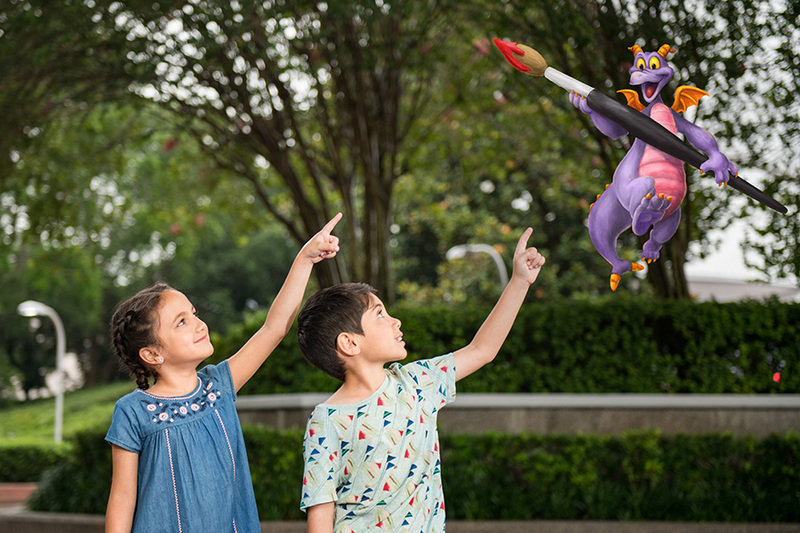 Memory Maker One Day is available in the My Disney Experience mobile app once you’ve linked at least one Disney PhotoPass photo to your account from the day to which you plan to apply the entitlement. 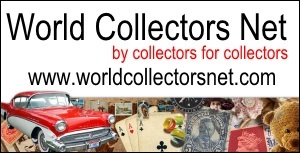 You can also purchase it at the Camera Center near the entrance to the Spaceship Earth attraction. 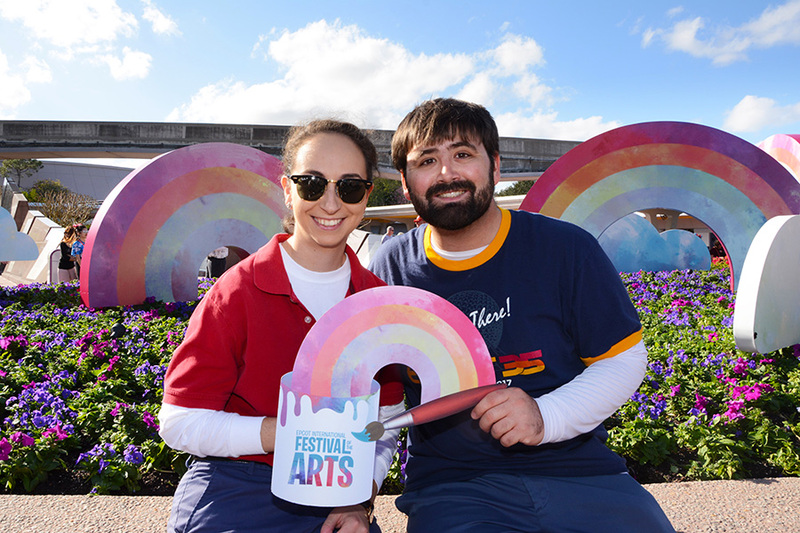 Just bring your smile and let Disney PhotoPass Service easel-y craft your memories at the Epcot International Festival of the Arts!